The south-east corner of Australia is nursing a great secret: volcanoes! That’s right. Somewhere between the Australian mainland and the north coast of Tasmania lurks a huge subterranean blowtorch, just waiting for the day when it can intrude on our seismically sleepy nation and pour forth masses of molten lava, deadly gases and thick layers of ash. The locations of the world’s earthquakes are largely predictable. Mostly, they are located above or slightly behind what are known as subduction zones. These are places on the earth’s crust where tectonic plates collide, which generally means heavier oceanic plates pushing down under lighter continental plates. It’s somewhat like a lazy office worker sliding the most complicated documents to the bottom of a growing pile, and with consequences just as dramatic. The subducting rock heats up and melts; soon, it begins to behave like a blowtorch, melting its way up through the crust above and erupting to the surface in what we earthlings reverently call a volcano. This sort of underground action typically forms lines of mountainous terrain, such as the Rockies/Andes mountain chain along the west coast of the Americas, or the Alps in southern Europe. Alternatively, it results in curved lines of volcanic islands such as Indonesia, Japan and the Philippines. Another less obvious source of volcanoes occurs beneath the ocean, where the earth’s crust is pulling apart, exposing much hotter material beneath; volcanic activity near Greenland is an example of this sort of activity. Enter the alternative kids on the block, intraplate volcanoes. In this edgy variant, volcanic outpourings occur in the middle of a plate, where the magma arises from a mysterious hot spot under the outer crust. Examples of this type include the Hawaiian island chain and Yellowstone National Park in the USA. Generally, as the tectonic plates move around the surface of the Earth, they pass over ‘hot spots’ – that is, anomalously hot regions in the mantle. In so doing, they produce lines of volcanic cones or outpourings. 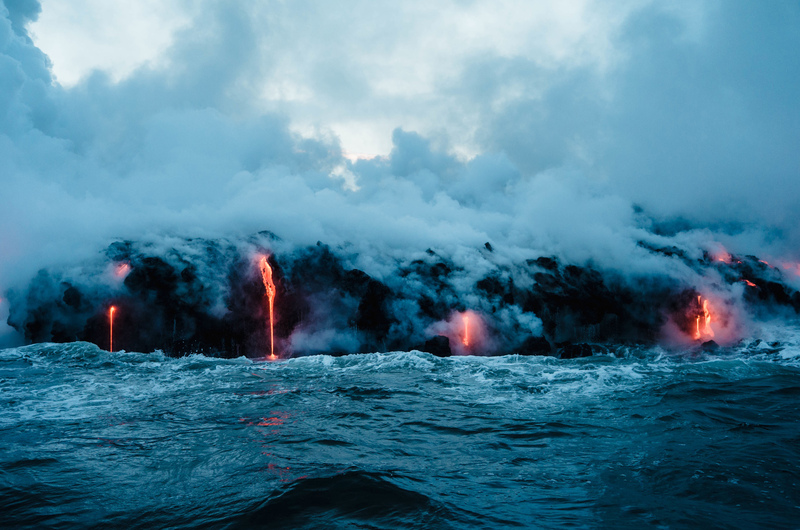 Thus, the Hawaiian island chain extends off in a straight northern line towards Alaska, with the islands – really just the tips of these volcanoes – gradually sinking below the surface of the ocean, with the seabed sloping deeper as it passes off the hot spot. Hot spots are believed to be caused by plumes of molten material arising at the boundary between the earth’s core and the mantle above, about 3,000km below the earth’s surface. You can imagine it all as much like a lava lamp, albeit a lava lamp that will not help you sleep at night. Historically, Australia has had a hot spot that, by my watch, has been causing volcanic eruptions for at least the past 33 million years along the eastern margin of the continent. This caused volcanoes where the outer layer of the earth, known as the lithosphere, is less than 130km in thickness. Australia is moving north on its continental plate at the rate of 7.5cm per year – the sort of rate you might expect from a 50 tonne camper trailer being towed by a hatchback. As it passes north over the hot spot, volcanic outlets are created further south. Thus, we see volcanic remnants from Mount Hypipamee, near Atherton, inland from Cairns, running south in a series of four parallel lines. The width of this chain indicates that, unlike the Hawaiian Island chain which produces a very narrow series of outpourings, Australia’s hot spot is quite broad. The four parallel lines reflect the magma finding its way upwards along lines of weakness in the crust; gaps in these lines are believed to have been caused by thicker spots preventing the passage of the molten material to the surface. 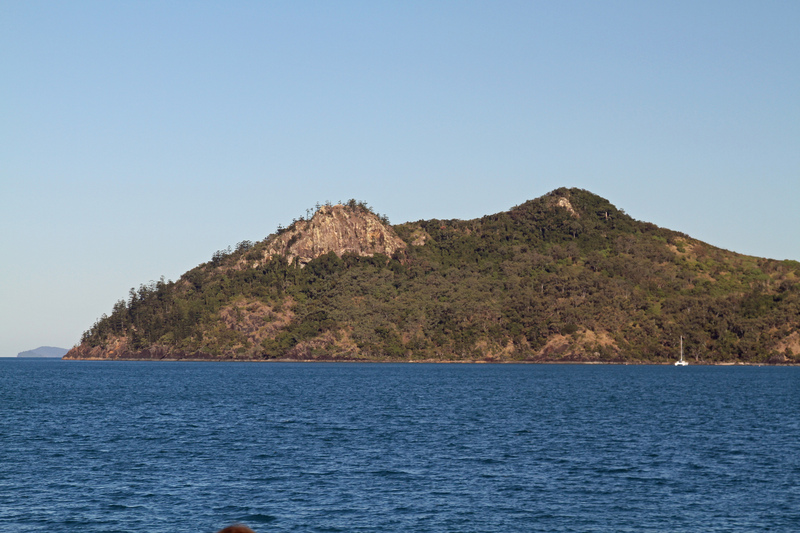 Other prominent geographic features that we can attribute to this hot spot are: the Glasshouse Mountains in Queensland; the Tweed Shield Volcano/Mount Warning in northern NSW; the Warrumbungle Mountains in north central NSW; Mount Canobolas, near Orange in NSW; and many others. One of these tracks, which runs from the Whitsundays in Queensland to Cosgrove in central Victoria, is the longest continental chain of volcanoes in the world at over 2,000km in length. Despite its record breaking counterpart further north, the Newer Volcanics Province down south steals a lot of the spotlight. This track covers an area ranging from the Melbourne CBD to Mount Gambier in South Australia. Within this area there are over 400 volcanic vents, ranging from 4.5 million years to 5,000 years old. Credit where credit is due; it is believed that the Newer Volcanic Province was created by the Cosgrove track plume. 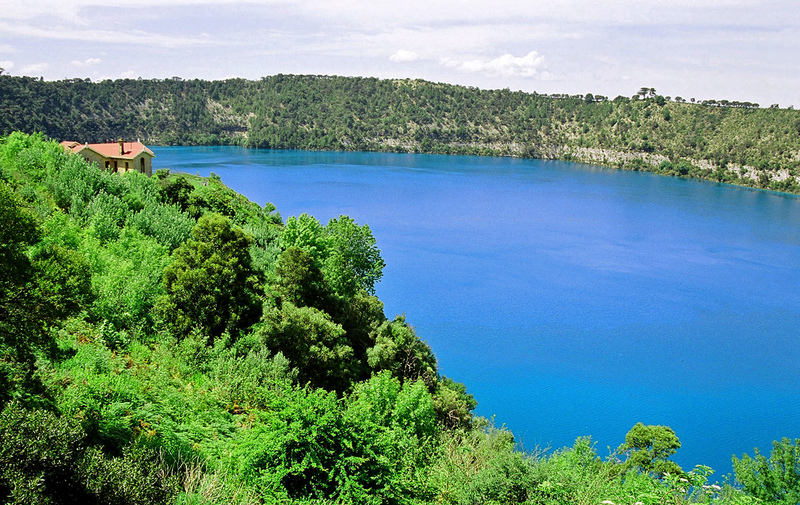 The youngest amongst the Newer Volcanics Province crowd is Blue Lake at Mount Gambier. It’s eruption would have taken place within the memory record of local aboriginal tribes and it would have been on a scale similar to the Eyjafjallajökull eruption in Iceland in 2010, which stopped air traffic over the North Atlantic and parts of Europe for some days. The presence of ground water throughout this province means that most of the volcanoes represent highly explosive events, something akin to a NYE fireworks ceremony, only taken up 100 notches. During explosions, this ground water produces large amounts of steam and adds greatly to the volcano’s explosive force. Those in the know consider it likely we’ll get another explosion within this Newer Volcanics region at some point. When and where remain a complete mystery. If the Blue Lake eruption occurred again today, we would only get two day’s notice (despite the contract promising a fortnight). And that’s using the most sensitive equipment, which isn’t even located in the region. Yet the impacts would be very widespread across south-east Australia and New Zealand. Mainlanders, there is hope. There’s a chance an eruption could be further south. The Cosgrove hot spot track is now believed to extend out into Bass Strait, with the plume located between King Island and Tasmania. This interpretation is based on higher mantle temperatures and enhanced seismic activity in the area. When might such an eruption occur? I wouldn’t be losing any sleep over it; while it might be next weekend during your kid’s cricket game, it is much more likely to occur in several thousands of years, or even a few million. And anyway, if it does occur, there’s nothing anyone can do about it.